FOR THE DAY OF THE LORD IS NEAR UPON ALL THE HEATHEN. So with that said, let’s read Leviticus 7.22-27. VERSES 22 & 23 The LORD spoke to Moses saying, speak to the Children of Israel saying, you shall eat no manner of fat of an ox, or a sheep, or of a goat. That is to say, you shall not eat the fat of an ox, or a bull, or a cow, or steer, or a sheep, or goat. VERSE 24 And the fat of any dead animal that dies of itself, and the fat of the animal that was killed by animals may be used for any other use, but it shall not be eaten. VERSE 25 Whosoever ate the fat of animals that was offered by fire for sacrifice unto The LORD, even that person was cut off from his people. VERSE 26 Also, you must not eat any blood of a bird or animal in any of your dwellings. That is, wherever you live, in any of your homes, wherever you are, you must never eat the blood of a bird or animal. And I thought on these words from The LORD GOD for quite some time. GOD will destroy all the nations and their people for the crimes they have perpetrated against GOD’S Jewish people during the past thousands of years. And for the crimes they are guilty of today, and the evil they will do to the Jewish People and Israel in the future. And that in addition to the coming destruction of the world because of what the nations have committed against GOD. They have transgressed His Laws. That is they have sinned against GOD’S Laws that are written in The Law of Moses. The heathen have changed His ordinance. They have changed GOD’s Laws that are written in The Law of Moses. And they have broken GOD’S Everlasting Covenant, His Word which He commanded for a thousand generations, and His Laws that are written in Torah, The Law of Moses. For the day of The LORD is near upon all the heathen. For at least those two reasons, GOD will destroy the heathen nations and their people because of the crimes they continually commit against GOD’S Jewish People, and their Homeland, The Land Of Israel. And the continued disobedience of the heathen against GOD by rejecting His Laws that are written in the Law of Moses. ISAIAH 26.21, ISAIAH 24.5-6, OBADIAH15-17. (Joel 2.1-3) While GOD destroys the world by fire, The LORD will change the Land of Israel in a moment to be like the Garden of Eden at His Return. And the time of the age of peace, the 1,000 year Millennium will begin. Yes, GOD will destroy the earth because of the sin of the people in it. Sin, evil, wickedness and iniquity are all sin. The people sin against GOD by continuously breaking The Laws that GOD gave to Moses Face to face for all the world to follow. But on the contrary, the world rejects GOD’S Laws. And The Day of The LORD will be upon them. The Hebrew word for heathen as in, The Day of The LORD is near upon all the heathen, is GOYIM. GOYIM has a variety of meanings such as Gentiles, or all nations other than Israel, any people not Jewish. And heathen means pagan. And The Day of The LORD is near upon all the heathen because of their countless crimes against GOD’S Chosen People, the Jewish People, and their Homeland the Land Of Israel that GOD gave to the Jewish People for an everlasting possession. DEUTERONOMY 7.6, ISAIAH 43.10, GENESIS 17.7-8. The crimes are upon the heads of the Christians of Europe, and the Muslims of the Middle East. But their crimes will end when all the nations attack Israel with the intent of destroying Her from the face of the earth. But instead, the nations will be destroyed by The LORD GOD Almighty, and Israel will become as the Garden of Eden. The end most certainly will come, and The Day of The LORD will fall upon the heathen with great destruction from The Almighty GOD because of their crimes against Jewish People and their continued disobedience to GOD. So I decided to search out the reasons the Church opposes and rejects The Law of Moses, GOD’S Laws that are written in The Law of Moses for all the world to follow. And the Church, knowing all these things because they are written in The Bible, that GOD will destroy the earth and its people in it because they have transgressed GOD’S Laws, changed His Ordinance, and broken His Everlasting Covenant. So I searched for the answers in the best place I knew. A Christian Bible Dictionary. And the one I chose was the Wycliffe Bible Dictionary. (Matthew 13.41) Offend in Greek is SKANDALON meaning sin. Sin is breaking GOD’S Laws that are written in The Law of Moses. 1 JOHN 3.4. Iniquity in Greek is ANOMIA meaning transgressing The Law of Moses. Those who transgress The Law of Moses will be cast into the furnace of fire. At the Day Of The Lord. (Matthew 13.43) Righteous in Greek is DIKAIOS meaning innocent, holy, just and right, all because of obeying The Law of Moses. Those People will shine forth as the sun in the Kingdom of their Father. “Who has ears to hear, let him hear,” Yeshua said. While the Church calls The Law of Moses legalistic, they teach the Gospel of John to be all love and grace. Yes, the Gospel of John is all love and grace, but to receive GOD’S love and grace, you must obey GOD. You must obey His Law of Moses. Grace is taught in the person of Noah. GENESIS 6.8-9. Just, perfect, and walking with GOD are the results of obeying GOD and His Laws. Then you will find grace in the eyes of GOD as Noah did. GOD’S love and grace are not unconditional. GOD has conditions for His love and grace, obedience to His Laws that are written in the Law of Moses, along with your Atonement in Messiah Yeshua. The Church teaches that when the Christian receives The New Covenant, The New Covenant is Jesus for the atonement of your sins, GOD writes His Law in their hearts. And yes, that is correct. But the Church teaches that the Christian is not required to obey GOD’S Law of Moses. Thus the Christian is taught to continue in their sin against GOD by breaking His Law continually. For Jewish people and non-Jewish People to enter the Kingdom of GOD, the Millennium, and Eternal Life in Heaven, we must have Atonement for our sins through the sacrificial death of The Messiah Yeshua. And we must walk in GOD’S Statutes and keep His Ordinances that are written in The Law of Moses, and do them. And you will be GOD’S People, and GOD will be your GOD, and you will inherit the Kingdom of GOD, the Land of Israel during the days of the 1,000 year Millennium, and Eternal Life in Heaven forever. The Church teaches that GOD’S Law is only the Ten Commandments. GOD’S Laws are much more extensive. The Ten Commandments were spoken by GOD to the Children of Israel at Mt. Sinai. After that great event, GOD gave Moses additional Laws Face to face. All those Laws of GOD are The Law of Moses. Yeshua The Messiah is GOD. And the Church must realize that Yeshua The Messiah is GOD Almighty Who gave The Law of Moses for all the world, including the Church to do them. Yeshua The Messiah is not another GOD, nor is He a separate and distinct person in the trinity. Yeshua The Messiah IS THE ONE GOD. The Church teaches that Jesus fulfilled and ended the ceremonial laws by observing its rites. And He fulfilled and ended the civil or judicial laws by obeying the Roman laws. And He fulfilled and ended the moral laws by perfectly obeying GOD’S Commandments and Laws by which obedience He became the sinners perfect righteousness for the broken Law, the Church says. Thus some Churches say that Jesus is the abolisher of the ceremonial laws. Right then and there when you hear those words, run for the doors and don’t look back. So in conclusion, the Church must start teaching The Truth of The Bible for Salvation. It’s not difficult, it’s in their Bible they hold in their hands every Sunday in Church. And they must repent and turn from all their sins of breaking GOD’S Laws that are written in The Law of Moses that they have committed, and keep all GOD’S Statutes that are written in The Law of Moses, and do that which is Lawful and Right. And they will surely live. They will not die. Those words are written in Ezekiel 18.21. Posted on December 28, 2014 March 24, 2015 Categories Shabbat MessageLeave a comment on FOR THE DAY OF THE LORD IS NEAR UPON ALL THE HEATHEN. Shalom and Happy Hanukkah. Today is the fourth day of Hanukkah. It’s an eight day Holiday, and although it is not a commanded Festival of The LORD’S Feasts written in Leviticus 23, Hanukkah is a celebrated and important time for Israel and all Jewish people, and all those who love Israel and the Jewish People. And there is a lesson to be learned from the events that lead up to Hanukkah, not only for Jewish People, but for everybody. Thus our message this morning will be about Hanukkah and the events found in prophecy that led to the Jewish Holiday Hanukkah, and the heroism and bravery that brought it about. But first, let’s look at some background on Hanukkah, The Festival of Lights. – Hanukkah in Hebrew means Dedication. – It’s also known as hag-ha-urim, the Festival of Lights. – Hanukkah honors the memory of the rededication of the second Temple in 165 B.C.E., B.C., the same Temple Yeshua The Messiah walked in, and taught in. – The rededication took place immediately after the Jewish People were victorious over the Syrian armies who persecuted the Jews, killing thousands and auctioning thousands into slavery. This is the Hanukkah story. – The Syrians polluted the Temple of GOD with their Greek idols and pig sacrifices inside the Temple, the House of The Holy One Of Israel. – The King of Syria, Antiochus Epiphanes also ordered the end of all Torah observance including Saturday Sabbath observance and the end of circumcision, as some European nations are trying to enforce today. Possession of a Torah scroll was unlawful, all punishable by death. These atrocities are called pogroms. Pogroms, which are organized massacres especially against Jews have been committed against the Jewish People for thousands of years throughout Europe. The Holocaust killed six million Jews in Europe, almost 1/2 of Judaism. Its Nazi hatred destroyed and burned one thousand Synagogues. Seven thousand Jewish businesses were destroyed or damaged, Jews were beaten to death by Nazis while many Jews were forced to watch. Jewish cemeteries were destroyed. Torah scrolls, prayer books, Jewish artwork and philosophy books, and the works of Talmud were burned. – Antiochus Epiphanes, the king of Syria in the days of Hanukkah was not the first. Thus the historical ethical failure of various organized religions of the nations. – No wonder Israel is concerned about a nuclear treaty with Iran and the major powers of the world. Iran threatens to wipe Israel off the map. – It is interesting to note that the Torah scrolls which contain the Laws GOD gave to Moses for the Jewish People and all mankind is still rejected, and hated by much of the world’s population today. All a work of satan who was the engine of Antiochus Epiphanes, and Hitler and all anti-Semites. – However Hanukkah, remembering the rededication of the Temple, is an eight day holiday, and a time of joy and thanksgiving because of the Jewish victory over the Syrians, and the miracle that The GOD Of Israel brought about for the Jewish People in The Land of Israel . – Hanukkah is not a commanded Festival of GOD. It is not a fast or a Sabbath, except the Sabbath from Friday at sundown to Saturday at sundown during the Hanukkah week. – Hanukkah became a great holiday when the Maccabees defeated the Syrian armies and drove them out of Israel on the 25th of Kislev, 165 B.C.E., B.C. The 25th of the Hebrew month Kislev was this past Wednesday. – The Hanukkah Menorah, the eight branched candlestick is lit every evening for eight days starting with one candle and adding a candle every evening. Why? Because when the Temple was rededicated, pure oil that was found in the Temple was only sufficient to burn the great menorah inside the Temple for one day. But miraculously, the oil burned for eight days until other oil was provided for the Menorah to burn continuously. – Spinning the dreidel and giving little gifts to children are popular during Hanukkah. The Sephardim, Jewish People originally from Spain and Portugal recite Psalm 30 on Hanukkah, while Psalms 113-118 called The Hallel or Praise, are read by most Jewish People on the Holiday, because GOD is our Salvation Who delivers us from the enemy. Let’s read PSALM 30. Hanukkah is about an historical event and a maniacal Syrian king Antiochus Epiphanes, a forewarning of Adolph Hitler and the soon coming anti-Christ who hated the Jewish People, and despised The Torah, The Word of GOD that contains GOD’S Laws that are written in The Law of Moses for the world. And Antiochus Epiphanes sought to convert the Jewish People to his own religion. Somewhat like the great anti-Semite, Martin Luther in the 1500s. Antiochus Epiphanes killed thousands of Jews, but finally the Jewish Maccabees, a guerilla warfare group, defeated the Syrian army in Israel, and booted them out of the land. The historical source of Hanukkah is found in 1 Maccabees in the apocrypha, meaning “hidden” in Greek. And Hanukkah is prophesied in Daniel chapter 8. DANIEL 8.1 King Belshazzar was the king of Babylon. The time of the prophecy was around 535 B.C.E., B.C. some 370 years before Hanukkah. The Babylonian empire consisted of today’s Israel, Syria, and Iraq up to and north of the Tigris River. And the Jews were in exile in Babylon because all the officers of the Priests, and the People committed many trespasses following the abominable practices of the nations. And they polluted the House Of The LORD which He had hallowed in Jerusalem. 2 Chronicles 36.14 . THE VISION WAS ABOUT THE PAINFUL EVENTS THAT WOULD LEAD UP TO HANUKKAH. DANIEL 8.2 Shushan was a palace in Elam, today’s Iran. DANIEL 8.3 The ram, explained later, is symbolic of the great Persian empire, 2,500 years ago. – The 2 horns are symbolic of the kings of Persia and Media. Media was northern Iran. Persia is today’s Iran. – The Persian empire included the entire middle east including Israel and Ethiopia to India. Today’s Iran was the head of the empire. – The one horn higher than the other symbolizes Cyrus the great, the founder of the Persian empire. DANIEL 8.4 No army could stand against the great Persian empire. Persia, under Cyrus the great, conquered the Babylonian empire in 539 B.C.E., B.C. DANIEL 8.5 The he goat explained later is symbolic for Greece which is west of Persia/Iran. The notable or great horn was Alexander the great. DANIEL 8.8 These events all lead to Hanukkah and the maniac Antiochus Epiphanes, who persecuted the Jews. – Greece became a great empire. – The great horn that was broken was Alexander. He died at 33 years of age. – The four notable or great horns that took Alexander’s place were four of his generals that ruled four kingdoms. General Cassander ruled Macedonia – N.W. Greece, and S. Albania north of Greece. General Seleucus ruled Syria, Babylon, today’s Iraq, Phonecia, today’s Lebanon, and Israel. Toward the four winds of Heaven. Perhaps meaning GOD gave them power to be the most powerful kingdoms on earth. DANIEL 8.9 The little horn came out of Seleucus, the king of Syria. – This little horn is not the anti-Christ, but he is like the anti-Christ of the future. This little horn is Antiochus Epiphanes, the Jew hater, and madman who persecuted Israel, despised Torah, and desecrated The Temple. The same evil spirit as the future anti-Christ. And the Pleasant Land is Israel, ruled then by the Syrian king Antiochus Epiphanes. BACK TO DANIEL 8.11 Antiochus magnified himself saying he was theos Epiphanes, GOD manifested. – The Prince of the Host is GOD Almighty, The Holy One of Israel. – Antiochus dedicated The Temple to his Greek gods, Olympia and Zeus. He abominated it with idols. DANIEL 8.12 A host was given to the Syrian king. The host were the Jewish People. 40,000 killed, and 40,000 auctioned into slavery. – Against the daily sacrifice means the Syrians were given the charge of the daily sacrifice; they used pigs for sacrifice. – By reason of transgression. GOD brought this judgment upon the Jewish People because of their transgression against The LORD their GOD. They disobeyed The Law of Moses. Transgression is sin, breaking GOD’S Laws that are written in the Law of Moses. 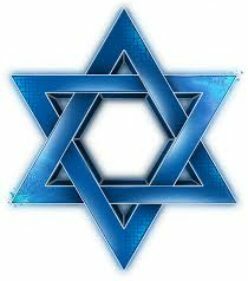 The only religion in the world that teaches the Law Of Moses is Judaism. All the other religions reject it. Thus Hanukkah is a lesson for the world to take to heart including Judaism because of the repercussions of transgressing against the LORD GOD Of Creation. And every human being requires atonement for theirs sins. Yeshua, The Jewish Messiah is that atonement. That was His purpose 2,000 years ago. – It cast down the truth. Antiochus abolished the truth, GOD’s Law of Moses. Who obeys Torah today? Very few. – It practiced and prospered. Antiochus had success in killing and persecuting Jews, and polluting The Temple, because of Jewish disobedience to GOD. 1 SAMUEL 12.14-15 applies to all humanity. DANIEL 8.13-14 How long will the Jews be persecuted? 2,300 days. For 6 1/2 years, and then The Temple will be cleansed of all its idolatry. When it was cleansed, Hanukkah was declared. DANIEL 8.15-17 Gabriel and Michael are two of Israel’s Guardian Angels. The time of the end is the end of Syrian rule, and persecution of the Jewish People in Israel. DANIEL 8.18-19 this indignation is GOD’S fury and anger because of Jewish disobedience to The LORD Their GOD. GOD’S indignation can be seen throughout the world today because of man’s disobedience to GOD. DANIEL 8.23 When the transgressors are come to the full. When Israel’s sin is full and complete in a bad sense, and GOD has had enough, The LORD will bring Antiochus the madman to judge GOD’S Jewish People with persecution because of their continuous sinning against The LORD their GOD, transgressing The Law of Moses. And this Antiochus was of fierce countenance. He was ugly, strong, harsh, greedy, and rough leading up to Hanukkah. – And he understood dark sentences, tricks, deceit, dishonesty, the characteristics of satan. And he, Antiochus will stand up. Antiochus was appointed by GOD to judge GOD’S Jewish People because of their disobedience to Him. BACK TO DANIEL 8.25 His policy, that is Antiochus, his evil wisdom and understanding, caused craft to prosper. His lies and deceit succeeded. His peace was a false peace. And he stood up against the Prince of Princes, The Messiah Yeshua, The Almighty GOD, The GOD Of Israel. And he was broken without hand. GOD killed Antiochus by disease one year after the first Hanukkah. DANIEL 8.26-27 The vision was from evening to morning. And no one understood it. But we understand it because it’s history. It is Hanukkah. The vision was 370 years before Hanukkah. The Maccabees, Judah Maccabee, and Jonathan, Johanan, Eleazar, and Simon formed a guerilla army of fighters, and defeated the Syrians, and kicked them out of Israel. And the People returned to The Temple and saw pigs on altars, and idols, and torn Torah scrolls, and they cleansed it, and rededicated The Temple to their GOD, The GOD of Israel, Who is Messiah Yeshua. Posted on December 21, 2014 March 24, 2015 Categories Shabbat MessageLeave a comment on HANUKKAH IN PROPHECY. WHAT DOES THE LORD MEAN WHEN HE SAYS, “EVEN THAT SOUL SHALL BE CUT OFF FROM HIS PEOPLE.”? Shalom. Our teaching this morning will continue from Torah, GOD’S Laws that are written in The Law Of Moses, from the verses of Leviticus 7.11-21. And the Title of our message is, “What Does The LORD Mean When He Says, “Even That Soul Shall Be Cut Off From His People”? So with that said, let’s read Leviticus 7.11-21. VERSE 11 the law of the sacrifice of peace offerings is the law of a voluntary offering to The LORD for thanksgiving, giving thanks to The LORD. VERSES 16-17 If the sacrifice of peace offering was for a vow, that is to say a promise to GOD, or a voluntary offering by an individual, The LORD commanded that the meat of the sacrificed animal be eaten the same day it was offered. And the remainder eaten the following day. But on the third day, any remaining meat from the sacrificed animal was to be burned with fire. VERSE 18 And if any meat of the peace offering was eaten on the third day, the sacrifice was not accepted by The LORD, nor was it counted as a sacrifice, but rejected. It was an abomination to The LORD, and the person who ate it was guilty of sin and bore his iniquity. VERSE 19 And the meat of the sacrifice that touched anything unclean according to Torah written in Leviticus 11 and Deuteronomy 14, or anything impure according to Torah such as touching a dead body or touching anything that was in contact with menstruation, that meat of the sacrifice was not to be eaten but burned with fire. And only the Clean, that is the Holy Person was allowed to eat the meat of the sacrifice. A Clean or Holy Person is obedient to GOD obeying GOD’S Torah, His Law of Moses. Clean in Hebrew is TAH’HOR meaning Clean, Pure and Holy. Today, the Holy Person is like Messiah Yeshua, obeying GOD and His Laws that are written in The Law of Moses together with your faith in Messiah Yeshua. VERSE 20 But the person who is in the state of uncleanness, that is a person who is unholy, ungodly, disobedient to GOD, not living in accordance to GOD’S Laws that are written in The Law of Moses, and eats the flesh from The LORD’S sacrifice of peace offerings, GOD says, even that person shall be Cut Off from His people. VERSE 21 And if the person eating the meat of the sacrifice of peace offerings touches any unclean thing, being human uncleanness or any unclean animal, or any abominable unclean creature that is described in Leviticus 11 and Deuteronomy 14, and eats the meat of The LORD’S sacrifice, that person shall be Cut Off from his people. All very serious business when applied to your relationship with Messiah Yeshua Who is your Sacrifice for sin and peace. So I decided to look into the meaning of these two words, Cut Off, and they’re not pretty. Cut Off in Hebrew is KAH’RAHT meaning destroyed by death, or removed by death inflicted by GOD. The Hebrew for Cut Off in this passage is GAH’ZAHR that also means killed and destroyed. And interestingly, this Hebrew word for Cut Off also means decree. That is, Messiah Yeshua’s death was according to law, GOD’S Law, foreordained by GOD by His decree. (GENESIS 6. 8-9) GOD will Never Cut Off anyone who is Just and Perfect, who Walk with GOD as Noah Walked with GOD. Just in Hebrew is TSAH’DEEK meaning righteous, living by GOD’S Laws and Statutes through faith in GOD Who is Messiah Yeshua. Thus making that person Perfect in the eyes of GOD. Obedience to Torah, GOD’S Laws that are written in The Law of Moses is of utmost importance in life together with your faith in Messiah Yeshua. It is written. “Salvation is of the Jews.”, John 4.22 Salvation is obtained by doing everything GOD commanded the Jewish people. That includes obeying The Law of Moses together with your faith in Messiah Yeshua. PRESUMPTUOUSLY means being bold in disobedience to GOD, doing wrong. REPROACHES THE LORD means that person dishonors GOD, lacks belief in The LORD, and disgraces GOD. VERSE 16 The lump is the dough of the Showbread in the Temple. The root of the Olive Tree (Israel) is GOD ALMIGHTY, YESHUA THE MESSIAH. VERSE 17 The branches are symbolic of Jewish People who do not believe in their Messiah Yeshua. The wild olive tree branches are Gentile Believers in the Messiah Yeshua who obey Torah, the Law of Moses that The Lord commands the Jewish People to obey. And those Gentile Believers in Messiah who obey Torah partake in all the blessing, covenants and promises of GOD promised to Israel, including The New Covenant promised in Jeremiah 31.31-34. VERSE 18 Don’t be foolish thinking yourself better then those Jewish People who don’t believe. GOD supports you. You don’t support GOD. VERSE 19 You will say then, the branches were broken off that I might be grafted in. Verse 21 Because if GOD did not spare the natural branches, be very careful lest He will also not spare you. (2 PETER 3.17) The wicked are the lawless who reject The Law of Moses, thus rejecting GOD. Beware, Peter cautions, lest the lawless lead you away from your own stedfastness. Being born-again is living a new life because your sins are forgiven by your Faith in Messiah Yeshua. He is your Atonement. And you have repented, turning from all your sins of disobeying GOD’S Laws, and you have turned to GOD obeying His Laws and Statutes that are written in The Law of Moses. You are born-again, living a new Life in GOD, in Messiah Yeshua, no longer serving sin. You are like Noah, Abraham, Isaac and Jacob, Moses, the Prophets, the Apostles, and Messiah Yeshua Himself, and all the Great Holy Ones of The Bible. That is being born-again, being GODLY and HOLY as GOD commands you. And that is Life and Eternal Life. And you will Never be cut off from your people. Posted on December 14, 2014 March 24, 2015 Categories Shabbat Message, UncategorizedLeave a comment on WHAT DOES THE LORD MEAN WHEN HE SAYS, “EVEN THAT SOUL SHALL BE CUT OFF FROM HIS PEOPLE.”? Shalom. This morning we are continuing our teaching in the Torah, The Law Of Moses, from Leviticus 7.1-10. And the Title of our message is “A Peek Into Heaven”. So with that said, let’s read LEVITICUS 7.1-10. The trespass offering is a perfect animal sacrifice for atonement. It is a sacrifice for the forgiveness of the sins of the People, the same type of sacrifice as the sin offering and the burnt offering that were also offered to make atonement for the People. The trespass offering was offered to The LORD for having committed sin against GOD, against His Law or Laws that are all written in The Law of Moses. Today, as you know, Yeshua The Messiah is our trespass offering and sin offering replacing the animal sacrifice because it is unlawful according to The Law of Moses to sacrifice animals without a Temple in Jerusalem. LEVITICUS 17.1-11. And that is the definition of being righteous. Let’s simplify the words of LEVITICUS 7.1-10. LEVITICUS 7.1 The LORD spoke to Moses saying (Leviticus 6.24(17)) This is the law of the trespass offering. It is Most Holy. VERSE 2 The animal sacrificed for the trespass offering was killed in the Tabernacle or the Temple courtyard as was the animal sacrificed for the burnt offering. And the blood of the trespass offering was sprinkled on all sides of the altar according to the law of the trespass offering. The trespass offering was eaten by the Priests in the Tabernacle or the Temple called the Holy Place. It is Most Holy as Yeshua The Messiah is Most Holy. VERSE 7 As the sin offering is, so is the trespass offering. Both are offered to The LORD for atonement for the sins of an individual, or for the sins of Israel, the Jewish People. And Messiah Yeshua is our trespass offering for out atonement. That is His Anointing. At His Passover Seder, or the Last Supper, Messiah said to His Disciples when He took matza, unleavened bread, and broke it and gave it to His Disciples, “Take, eat, this is My Body.” (Symbolic for the Priests eating the trespass offering). And He took the cup and gave thanks and gave it to them saying, “Drink all of it, for this is My Blood of The New Testament”. I believe He said this is my blood of The New Covenant (Jeremiah 31.31-34) which is shed for many for the forgiveness of sins. Continuing with Leviticus 7.1-10, in VERSES 8-10, the Priest who offered the burnt offering for an individual kept the skin of the animal for himself. And for the grain offering that was baked in a pan, and all that was dressed in the frying pan, or any pan, belonged to the Priest who offered the grain offering to The LORD. And every grain offering mingled with oil that was dry belonged to the sons of Aaron the Priests equally. Here at Beth Elohenu, we have often taught that The LORD GOD Anointed the Messiah Yeshua to be our sin offering for the atonement of our sins. There is no other atonement available. Messiah in Hebrew is MAH’SHE’AKH, meaning Anointed. Messiah Yeshua was Anointed by The LORD to be our Atonement in place of the animal sacrifice. Peter writes that Messiah Yeshua was foreordained, that is to say, GOD knew and chose Messiah before the Creation of the world, to be our Atonement. To better understand the Bible and GOD Himself, It is key to understand the Hebrew word ELOHIM. ELOHIM is a plural word for The GOD of Creation meaning GODS. However when speaking of the GOD of Creation, ELOHIM is GOD singular. GOD is ELOHIM because He is GOD our Father, The Son, The Messiah, The Spirit, The Holy Spirit, and often The Angel of GOD, The Angel of The LORD, The Glory of GOD, and so much more. “Let us make man in our Image”, Genesis 1.26, speaks of The One GOD and all that He is. Understanding ELOHIM is key to a better understanding of GOD and the Bible. Messiah’s voluntary death to be our Atonement is the grace of GOD. Our Atonement in Yeshua The Messiah is GOD’S freely given, unmerited kindness and love. We did nothing to deserve such a Gift. That is the grace of GOD. But GOD’S grace doesn’t stop there. After receiving Atonement for our sins through belief in Messiah Yeshua, GOD gives us another Gift. And that Gift is a new heart, and a new spirit. And He takes away the stony heart out of our flesh and gives us a heart of flesh. And GOD puts His Spirit in us and causes us to walk in His Statutes and keep His judgments that are written in The Law of Moses to do them. That is also the Grace of GOD. But most people who have received Messiah Yeshua for Atonement of their sins are “taught” to reject GOD’S Grace and His Gift of a new heart, and a new spirit that would cause them to walk in GOD’S Statutes that are written in The Law of Moses to do them. Thus by rejecting GOD’S Grace and His Gift of a new heart and a new spirit that would cause them to walk in GOD’S Statutes and keep His judgments that are written in The Law of Moses, they have rejected the Messiah Yeshua who Is GOD ALMIGHTY, and have believed in vain. So now that we know the Biblical road to eternal life in Heaven, let’s peek into our eternal home with The LORD our GOD, Messiah Yeshua. And our reward in Heaven is great, Messiah said. MATTHEW 5.12. Commandments in Greek is Entolay meaning Precepts, GOD’S Law of Moses. The City is New Jerusalem, The Heavenly City. It is written. Posted on December 7, 2014 March 24, 2015 Categories Shabbat MessageLeave a comment on A PEEK INTO HEAVEN.